For my digital footprint I decided to put a bunch of the most common logos we use on the Internet. For example I put google on there several different times because I myself use google at least once every day. 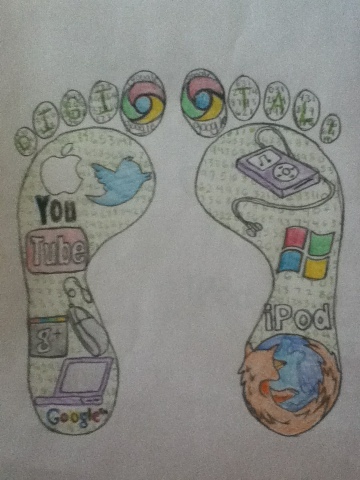 I couldn't fit every website logo I could think of on my footprints because there are just too many to count!